Pol Roger do not make a non-vintage rosé, preferring to release only in vintage years. Brut Rosé Vintage is produced from some twenty Grand and Premier Crus in the Montagne de Reims and the Côte des Blancs. In order to obtain its delicate colour and subtle nose, 15% Pinot Noir from selected vineyards in Ambonnay, Bouzy and Cumières is fermented and added to the blend as red wine prior to the second fermentation. Second fermentation takes place in the coolest Pol Roger cellars, thirty-three metres below ground level at temperatures of just 9°C, some 2-3°C cooler than the cellars of other producers. The cooler cellars slow down bottle fermentation, producing a champagne with finer bubbles, a characteristic for which these small production releases of Pol Roger are known for. The final blend is aged for nine years in the cellars before disgorgment and release. Weather: After a rainy but mild winter without any prolonged cold spells, spring arrived with some very localised frosts. Cool weather returned in June and the infrequent sunshine prolonged the feeling of freshness. The spring to autumn weather was bright with sunny spells and the long, hot days and cool nights during September gave the grapes excellent acidity during the harvest period. The 2008 vintage is fast emerging as one of the best since the renowned and now-legendary 2002. Tasting Note: A bright pink colour that has a stream of fine bubbles. On the nose aromas of raspberry and redcurrant that continues on the palate bursting with red fruits and hints of citrus. A fine balance and structure persist long through the finish. A vintage that is already showing great promise although still very youthful. 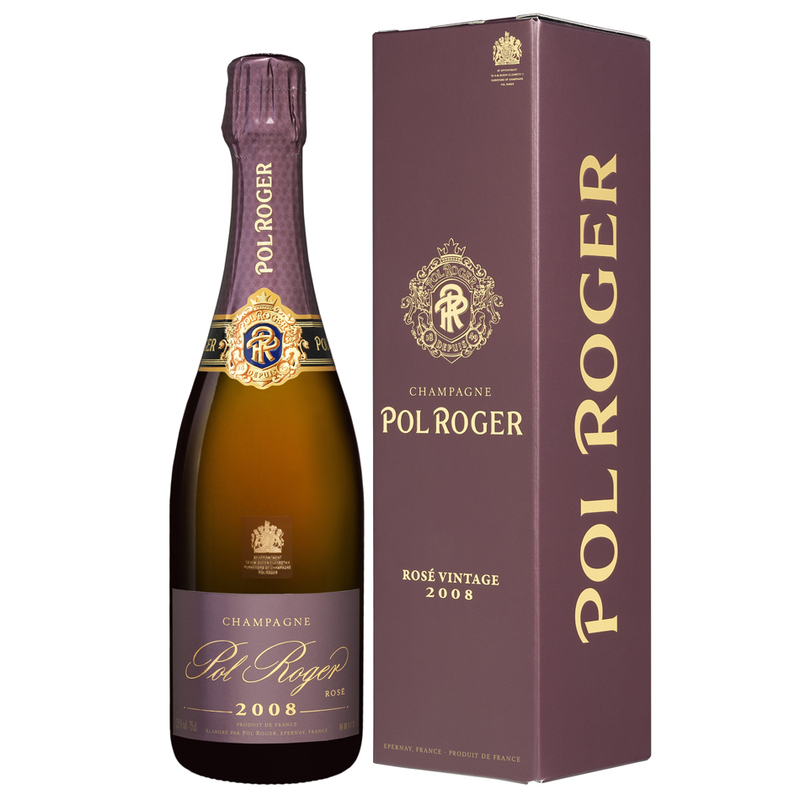 Pol Roger was just nineteen when he founded his eponymous estate in 1849. Still a family-run enterprise, fifth generation Billy de Hubert manages the House today, ensuring they remain fiercely independent and unrivalled in their reputation for quality. With 89-hectares of vineyards supplying half of their grape requirements and illustrious premises containing immaculate facilities including pristinely polished stainless-steel tanks that reflect shiny tiles and snow-white surfaces, their success is a consequence of incredibly personal attention to detail. Remarkably, a small team of less than ten complete everything in the cellar by hand and Pol Roger boast four of the region's remaining fifteen riddlers, who impressively turn over 60,000 bottles a day. The House use no oak in the winemaking process and their double cold-settling of the grape juice contributes to the pure-fruity style of their champagnes. Indeed, it is this style and their respect for tradition that initiated Sir Winston Churchill's lifelong attachment to Pol Roger, who famously insisted: "In defeat I need it, in victory I deserve it." Today, their prestige cuvée is named in honour of the great man. Champagne Pol Roger has been producing exceptional Champagne for over 165 years. To this day the house remains small, family-owned, fiercely independent and unrivalled in its reputation for quality. Indeed, it is this quality which initiated Sir Winston Churchill’s lifelong attachment to Champagne Pol Roger, who famously insisted: “In defeat I need it, in victory I deserve it”. The first sale of champagne was in January 1849 when family circumstances forced Pol Roger to set up a business; his father had contracted an incurable disease and could no longer carry on his practice. The customer was a merchant in Aÿ, the native village of Pol Roger. The firm developed rapidly, moving to Épernay from Aÿ in 1851. In 1899 the founder died, by which point the brand had acquired enviable recognition for just a short fifty years of trading. However, disaster struck in February 1900 when part of the cellars and winery building collapsed, destroying over 500 casks and one and a half million bottles. Maurice and George, who had taken over from their father, had to work tirelessly to get the company back on track. 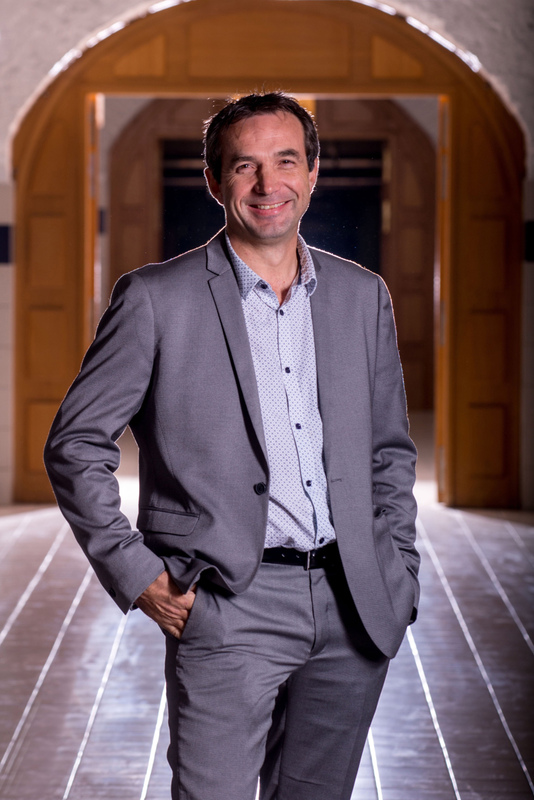 Maison Pol Roger now owns 91 hectares of vineyards on prime sites in the Vallée de la Marne, the Montagne de Reims and the Côte des Blancs and is 55% self-sufficient in its grape requirements. The cellars run for 7km underground and are on three levels, the deepest known as the ‘cave de prise de mousse’ at 34m below street level. As the name suggests, this is where the wine undergoes its secondary fermentation in bottle. The fact that this deep cellar is at a natural temperature of 9°C or less, rather than a normal cellar temperature of 11-12°C, prolongs this fermentation and contributes to the quality and particular style of the champagnes and their famously fine bubbles. The Pol Roger range starts with a non-vintage Brut Réserve and the rest of the champagnes are vintage-dated: Brut Vintage, Brut Rosé and Blanc de Blancs, as well as their prestige cuvée Sir Winston Churchill. Great Britain is, and always has been, the premier export market for Champagne Pol Roger, a tradition dating back to the 1860s. Even as early as 1855, Pol Roger was making Brut Champagne as he knew that Britain favoured this style of sparkling wine. Sir Winston Churchill’s predilection for Pol Roger was sealed in the immediate aftermath of World War Two, when he met and formed a lasting friendship with the captivating Odette Pol-Roger, who encapsulated Churchill’s romantic vision of France. For the remainder of his lifetime, Pol Roger was to remain Sir Winston’s champagne of choice, supplied to wherever his engagements demanded from what he described as “the world’s most drinkable address”: 44 Avenue de Champagne, Épernay. The friendship between the Churchill and Pol Roger families endures to this day. Created in tribute to Pol Roger’s most illustrious devotee, the prestige cuvée Sir Winston Churchill is appropriately composed of only the best grapes, from only the best vineyard sites to which Pol Roger have access and from only the best vintage years declared by the House. As Sir Winston himself once declared: “My tastes are simple. I am easily satisfied with the best!” The precise formula is a family secret, but invariably is true to the style that Sir Winston himself preferred: robust, full-flavoured and mature. We suspect Pinor Noir dominates most releases, with 20-30% Chardonnay completing the blend.